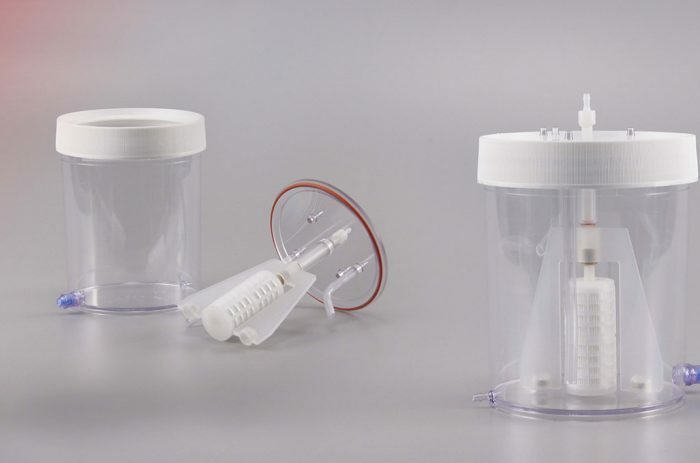 SaniSure’s Cell Separation Continuous Perfusion System features a stationary filter element with a rotating, magnetically driven agitator. 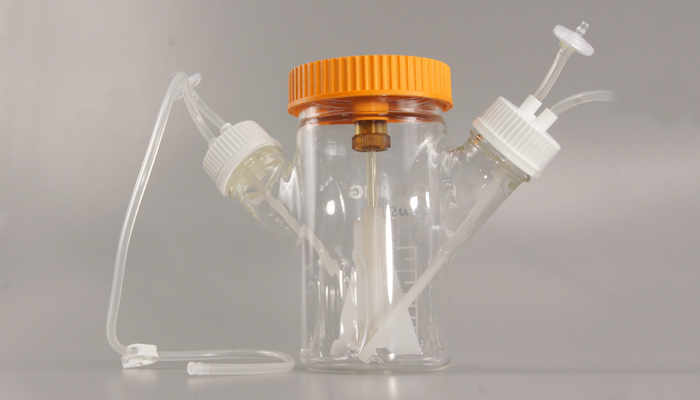 Spinner Systems for flasks and other containers are also available. The Spinner Systems for flasks and other containers use the SaniSure Impeller. This is a one-piece impeller designed with identical geometry to current multipart designs. Designs with multiple parts can create entrapment areas where cells can get hung up, sheared and trapped. Field tests of the SaniSure Impeller have reveled similar agitation, no entrapment and significantly improved yield. The product is manufactured from a PVDF, gamma stable, animal derived component free material. It is also lightweight, provides lower particulate shedding, is lot traceable and meets USP VI requirements.